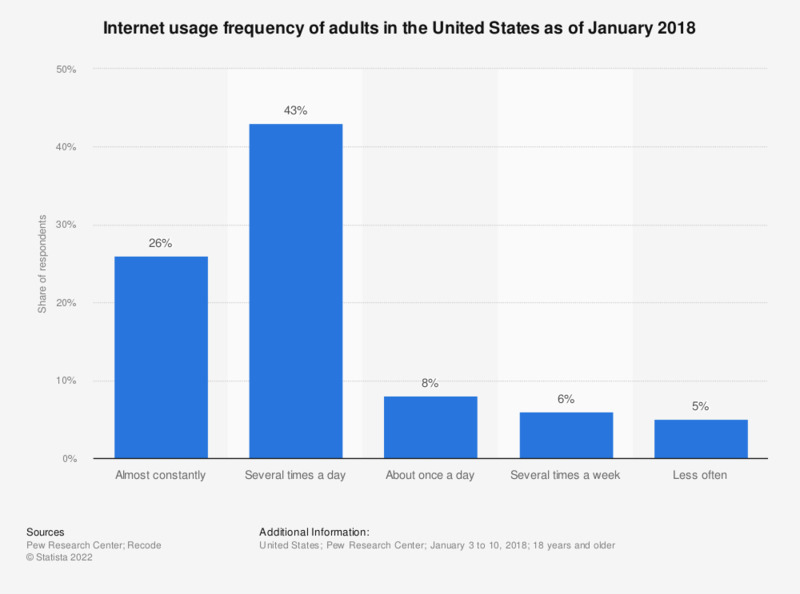 This statistic presents the frequency of internet usage by adults in the United States as of January 2018. During the survey period, 26 percent of respondents stated that they accessed the internet almost constantly. Overall, 77 percent of adult internet users accessed online content on a daily basis.